Nations Press news Ex PDEA Chief Admits He submitted The Duerte Lists of Narco-Politics to PNOY in 2010,But Nothing Happened! Ex PDEA Chief Admits He submitted The Duerte Lists of Narco-Politics to PNOY in 2010,But Nothing Happened! 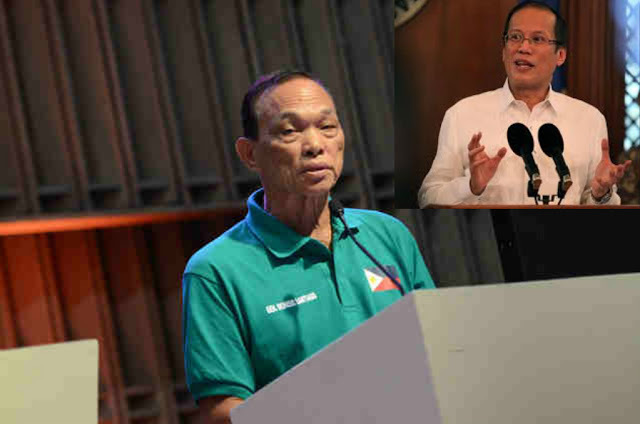 SPONSORED LINKS Former Chief Dionisio Santiago of Philippines Drug Enforcement Agency (PDEA) said that the list of names of narco-politicians and narco-cops exposed by President Rodrigo Duterte is the same list he submitted to former President Noynoy Aquino in year 2010. According to Radyo Inquirer, during an interview with Santiago, he said that PNoy instructed the PDEA to investigate and report the status of illegal drugs in the Philippines. Santiago confirmed that the list of names includes governors, mayors, vice mayors, councilors and barangay captains who are suspected drug lords, protectors and distributors. But then, Santiago was fired and was replaced by Jose. S. Gutierrez Jr.
'Tinanggal nila ako, kasi ako raw yung tarantado, tapos yung tarantado talaga, yun ang napuwesto pa sa mas mataas ng posisyon.